Nestled in the iconic wine county of northern California, just a little further north of Napa, is the quaint town of Calistoga. The town was originally made famous by the natural hot springs and volcanic mud baths, where locals and vacationers alike would indulge in these relaxing and therapeutic natural resources. However, since that time, Calistoga has continued to grow as a premium travel destination in northern California. Now, more than just hot mud, Calistoga has a number of world class wineries and has well and truly made its mark on the wine industry over the years. If you’re looking for a break, or simply want to pamper yourself for a weekend away, Calistoga is the place to visit in the Napa Valley. 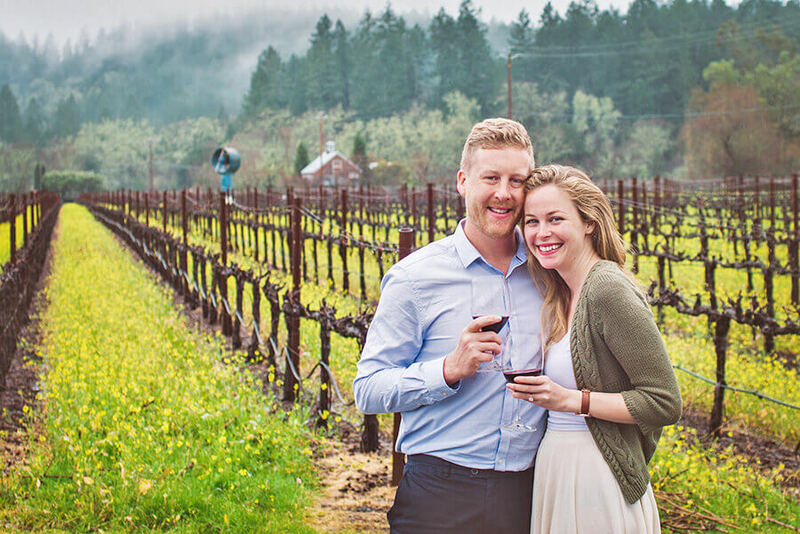 Offering so much more than just a dip in hot volcanic mud, Calistoga is the perfect spot to spend a weekend exploring wineries with friends, indulging in some excellent restaurants or getting away for a romantic weekend. We cover everything in this Calistoga travel guide, from where to stay and eat, to the best mud baths and wineries for your perfect trip away. 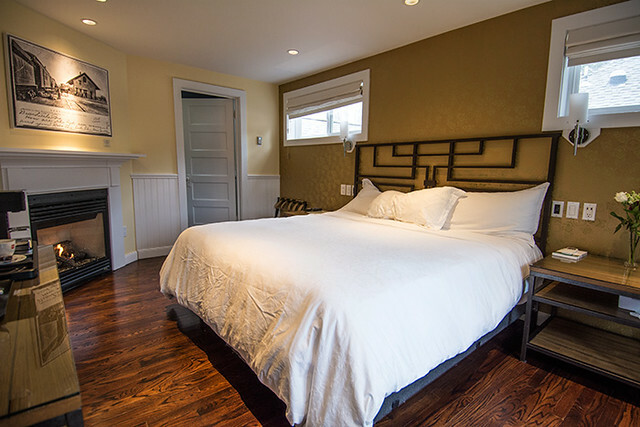 There is no shortage of excellent places to stay in Calistoga, but if you really want to find the perfect combination of relaxation, comfort and history, then the Brannan Cottage Inn is hands down the best choice in Calistoga. 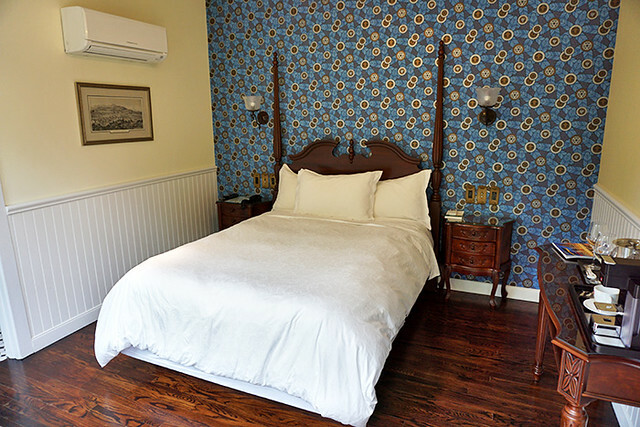 This charming bed and breakfast is operated out of an original Victorian cottage, which was actually built by Calistoga founder Sam Brannan back in the 1860s. 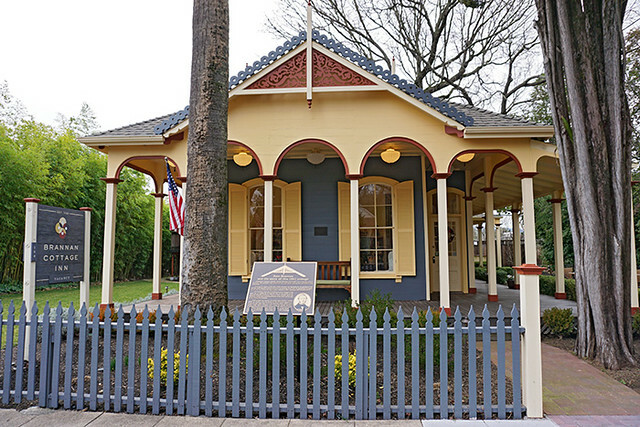 It’s one of the first buildings in Calistoga to be recognized by the National Register of Historic Places for its connection to the founding of Calistoga, and the restoration and preservation efforts have ensured it upholds its historical charm. Walking through the old rooms inside the main building feels kind of like visiting a museum, with old black and white photos adorning the walls and a very classic piano sitting in the entertaining area. The attention to detail on all the fixtures and fittings are impeccable, which give the Brannan Cottage Inn a nostalgic nod to its early days. There are 6 rooms available, each intricately unique and special in their own way, from the colorful wallpaper and tile work, to the individual decorations and room arrangement. Any one of these rooms would be a pleasure to stay in, but by far the most luxurious room is the Deluxe King with its gas fireplace, beautiful deck and amazingly comfortable bed. Our time in Calistoga was a little rainy, which made it super cozy to come back to an open fire with our plush robes. Along with these added luxuries there is also a heated bathroom floor, massive TV with Netflix and Amazon Prime, champagne glasses and a fridge to cool that champagne. The private balcony deck off the front of the room is also a nice leisurely spot to enjoy some morning mimosas, if you’re so inclined! 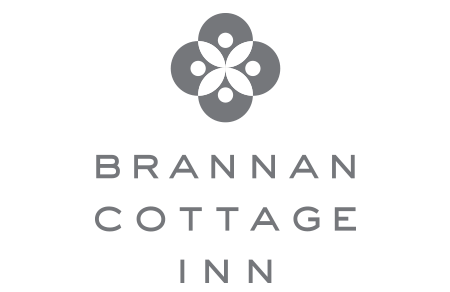 Located within 5 minutes walking to the center of town, Brannan Cottage Inn is an ideal spot for people that want to experience the local community feeling that Calistoga has to offer. For a town that gets quite a lot of tourism, Calistoga has really maintained a very humble vibe, making visitors feel right has home. Brannan Cottage Inn is across the road from Indian Springs Resort, where you can also take a dip in the natural hot springs. Right next door to the resort is the delicious restaurant Sam’s Social Club. It’s also just a couple of minutes walk to the center of downtown, where you can find mud baths, hot springs, restaurants and local shops. Another convenient feature of staying at Brannan Cottage Inn is the free Calistoga shuttle that can take you around the main town. It’ll also shuttle you outside of town to nearby wineries, so you don’t have to worry about how to drive home after a few glasses of wine. The Calistoga Shuttle is a ‘call on demand’ service that can pick you up wherever you are and drop you off to locations around Calistoga. You simply dial the number, request a pick up time and swipe your Brannan Cottage Inn card for free access. 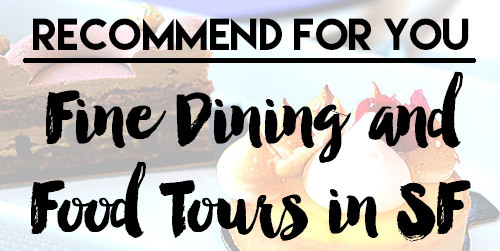 It’s the perfect option if you’re planning on visiting a winery for the day and want to indulge in a couple of extra reds! Visiting San Francisco while in the area? Before the hip wineries and upscale restaurants became a thing in Calistoga it was all about the famous mud baths. And no trip to Calistoga is complete without a revitalization session in the mud. The emergence of Calistoga’s natural healing resource dates back to ancient volcanic eruptions, coming from nearby Mount Saint Helena, that have made the surrounding soil rich in nutrients and minerals. Long before American settlers arrived in the area in the 1840s, the indigenous Wappo tribe was taking advantage of the healing powers of the northern California hot springs and fertile soil. The mud alone isn’t particularly appealing, but combine the thick volcanic soil with the natural hot spring water and you get a heated mud bath experience that will relax and rejuvenate any old soul. 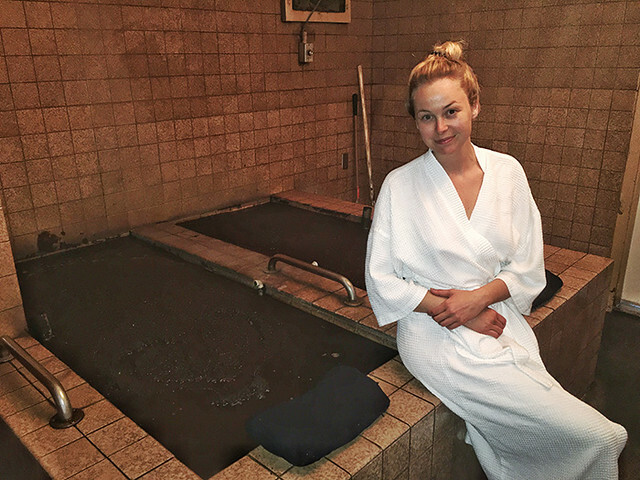 The best way to experience the healing benefits of the natural elements is to visit one of the many establishments that offer hot mud baths. Roman Spa Hot Springs Resort, located in the middle of town, has a super relaxing experience that everyone should indulge in if visiting Calistoga. The mud is a bit stinky (thanks to the sulfur) but once you get past that it’s a relaxing experience. You start by floating in the hot, thick mud for 20 minutes. You strip down to your birthday suit and slowly lower yourself down into the hot mud bath. You’d think, presumably, that you’d sink right into it, kind of like a soup. But the mud is thick, and unless you wriggle into it you just sit suspended on the top. Wriggling around in the mud kind of feels like wadding through quicksand until you hit the bottom of the bath. Moving in the mud is slow and feels a bit like the dreams you have when you’re trying to run, but your legs don’t move fast enough. It can get pretty hot and a little constricting, but if you take a few deep breaths and relax it’s actually really comfortable being suspended and encased in hot mud. Once your time is up you can wash off all the thick mud that has found its way into every crease and crack on your body…. I mean every crease and crack! Jump in the shower and scrub off before popping into a hot bubble bath to really relax for 20 minutes. After that you can add on a massage to really top off the most relaxing couple of hours you could ask for on a weekend away. 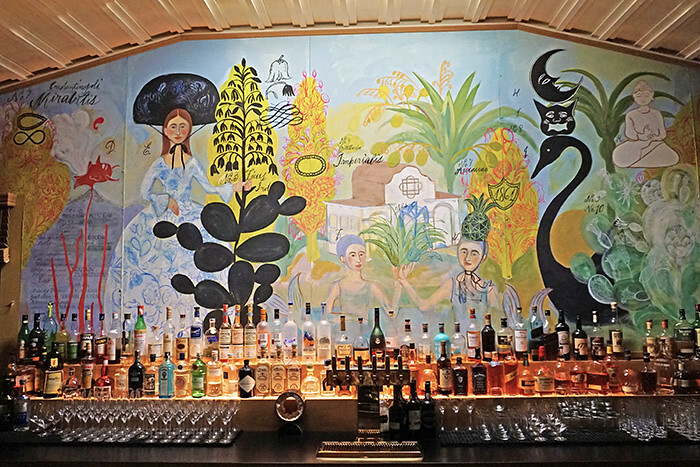 Aside from the copious amounts of wineries on offer, giving you plenty of places to drink, Calistoga has a host of delectable restaurants on offer. 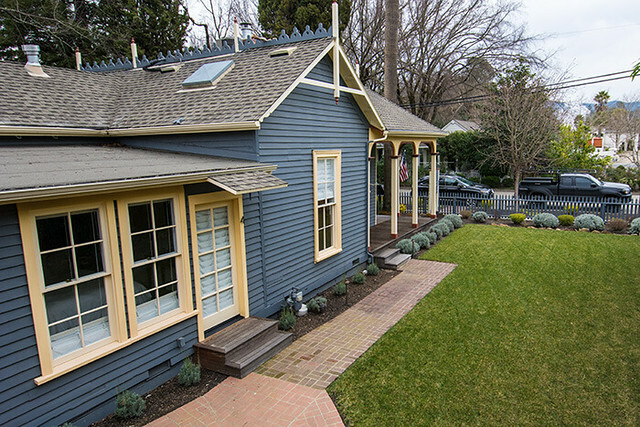 Right across the road from Brannan Cottage Inn is Sam’s Social Club, named after Calistoga founder Sam Brannan. It’s a charming restaurant that serves up American cuisine. Sam’s is a big open restaurant with warm lighting and a real homely local feel. The meals are massive and a lot of the food is sourced from local farms around the area, so you know it’s fresh. We definitely under-estimated the size of the food here and ordered too much, but it left us with a midnight snack later in the night when we were watching Netflix in our robes. For breakfast or lunch be sure to visit Café Sarafornia, which is named after a famous word jumble from Sam Brannan, who didn’t mind a few drinks himself. This is also how Calistoga gets its name. After a few too many, Sam Brannan said he was going to name this area, the Saratoga of California, but drunkenly said, the Sarafornia of Calistoga. Hence, Calistoga got its name, and this super cute diner adopted the iconic name Sarafornia. 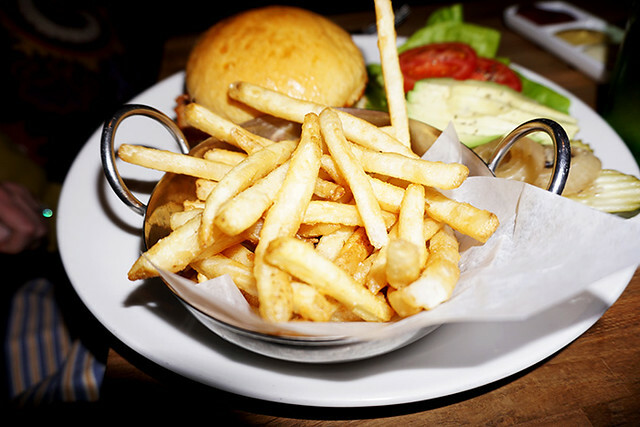 Food portions are big and well priced, with a good selection of traditional American diner meals on offer. The milkshakes are extra massive; so if you’re two people, definitely split one. 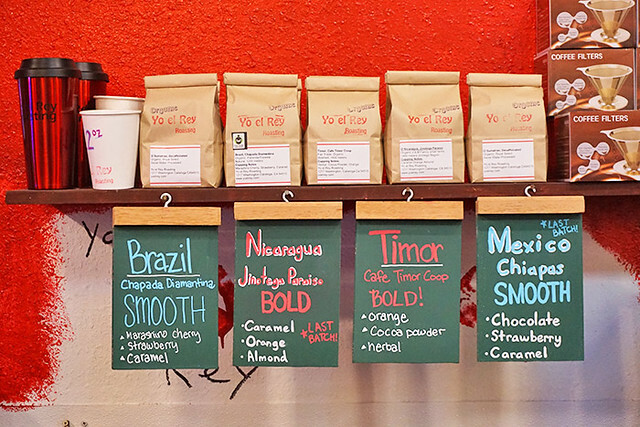 Those looking for a good cup of coffee, make sure you visit Yo El Rey Roasting. 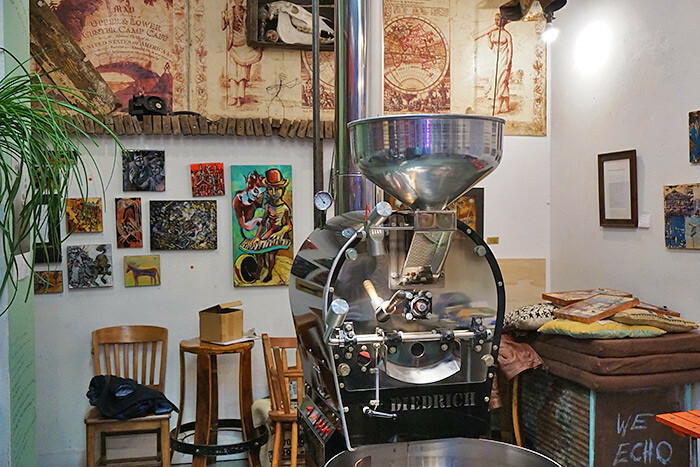 Located in the center of town, it’s a boutique coffee roasting house that produces only the best, organically certified coffee from around the world. The owner, an avid coffee connoisseur, also offers roasting demonstrations in the shop on selected nights. If you’re lucky to be there on the night you’ll get to see a local coffee master explain the whole process and science behind roasting, blending and brewing premium coffee. It’s an educational (and delicious) experience for coffe lovers. The roasting experience pairs well with a tasting from local Olabisi wines, who have a tasting room across the road from Yo El Rey. After getting a nice pick me up from the coffee, drift across the street and listen to some local wine experts tell you about a selection of their reds. 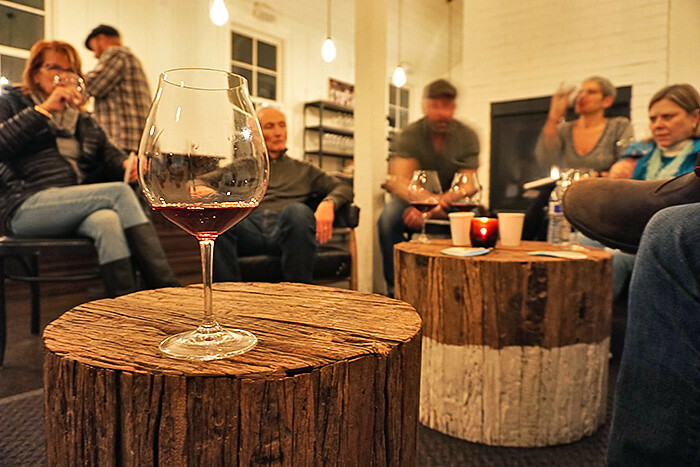 Olabisi Winery Tasting Room is a comfortable spot to kick back with a few samples from these experts in the field. They really know wine, and they love telling you about it over a couple of glasses! 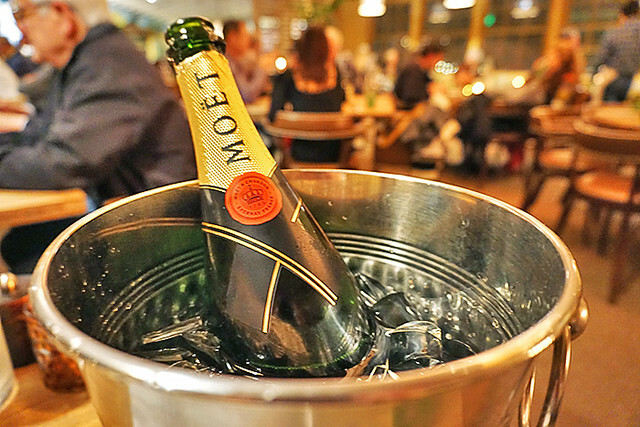 You’ll come away much more knowledgable about wine, and probably a little tipsy. 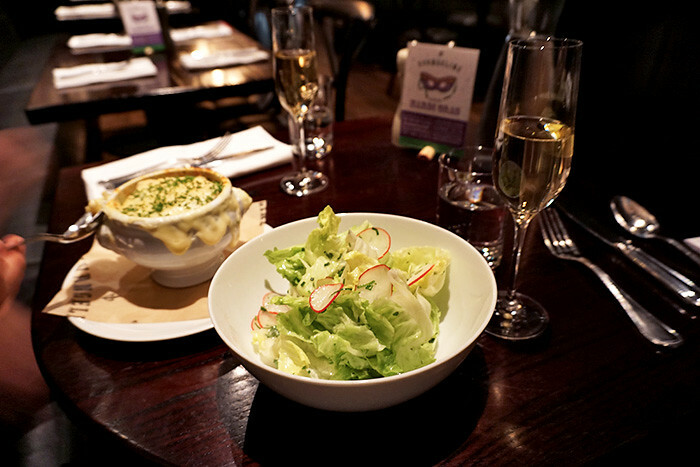 Another excellent place to eat is Evangeline’s, where their French onion soup is incredible! If it’s a little romance and private time you’re after then Calistoga has you covered. Aside from the gorgeous settings and surroundings of rolling hills and stretches of vineyards, Calistoga has some amazing opportunities to spend special time with your loved ones. Private winery tours, romantic strolls through the vines and a few good bottles of wine are more than enough to set the scene in Calistoga. For anyone headed to Calistoga, we highly recommend a trip out to Bennett Lane Winery. This gorgeous winery, just a few miles outside of town (accessible by the free shuttle), is an unbelievably picturesque and perfect for wooing that special person. You can start the day off with a wine tasting and tour of the grounds, getting to sample the wines, while learning about the history of the company and the production of wine. For anyone new to the specifics of wine it’s a really great experience to hear about how tiny grapes can turn into something so delicious. Whether you’re a wine newbie or an experienced wino, the lovely staff talk you through all the different flavors and make you really appreciate the complexity of the production.